Photo by Linda May 2010. Salvia is a hardy herbaceous perennial plant native to a wide area of central Europe and western Asia. It is an attractive, drought-tolerant plant that is easy to grow and propagate. It has violet-blue flowers and stands 18-24″ high. Deadheading encourages a long blooming period. 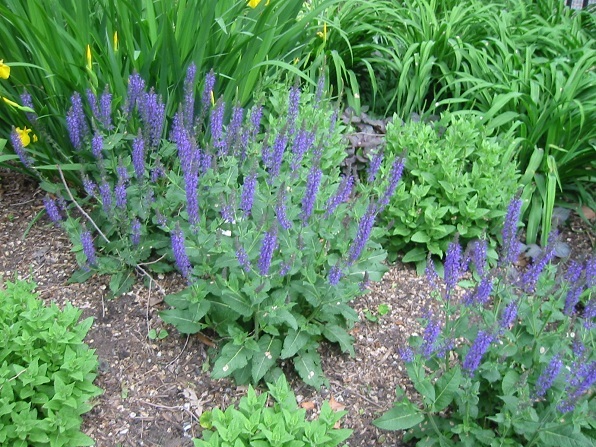 If they get leggy, salvia plants may be cut down to newly developed fresh basal foliage.